Elders are the spiritual leaders in the Lord’s church. So, in Acts 20 the apostle Paul met with the Ephesian elders and gave them this charge: “Therefore take heed to yourselves and to all the flock, among which the Holy Spirit has made you overseers, to shepherd the church of God which He purchased with His own blood” (v.28). Maxwell is fond of saying that “everything rises or falls with leadership.” To the extent that the church rises to meet its potential and accomplish its divine purpose depends upon its leaders. Growing churches have good leaders. In this text, Paul points out that a good leader begins with taking heed to himself before leading others. He exercises self-discipline and restraint. He has the ability to honestly evaluate himself and see areas in which he needs to improve and grow. 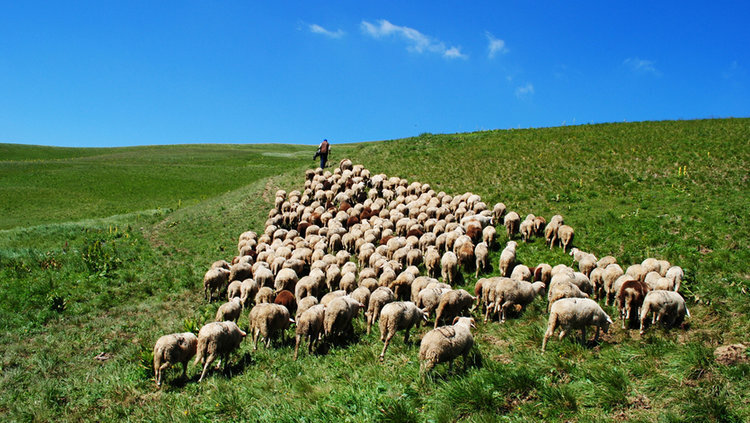 The Biblical model of a spiritual leader is a Shepherd. Like those who tended flocks in Bible times, he knows his sheep because he is available to them. He is committed to them. And has earned their trust. Good Shepherds carefully tend to their sheep. Feed them. Nurture them. Protect them. And pray for them. They keep the sheep from straying. And work to restore to the flock those who have wandered away. They provide whatever is needful for their growth. According to Paul’s letters to Timothy and Titus, the men who would lead God’s people must possess spiritual qualities that set them apart from other Christians. Their character is beyond reproach. They have a good reputation with people outside the church. They set a good example of leadership within their own families. They don’t engage in bad habits that would impair their influence. They have developed their skills and abilities to lead and teach. And they have demonstrated these qualities through years of spiritual experience. Elders are overseers, which speaks to the nature of their leadership. They watch. They inspect. They see what is going on among the people. It is not a job that is accomplished behind closed doors. It requires them to be among the people. And suggests a diligence in doing so. Implicit in the word is the idea of leadership. When elders fail to Shepherd and Oversee the church they have failed not only the people, but they have failed the Holy Spirit and the Lord whose blood purchased the church. Spiritual leaders are servant leaders. They don’t just issue edicts and commands. They are involved. Instead of telling others to “go,” they roll up their sleeves and say, “Let’s go.” They lead the way. Their work is spiritually focused. It’s not an office, but a relationship. It’s not about policy, but about people. It’s not position, but personhood. People follow not because they have to, but because they want to. God’s leaders are not sinless men. Like all of us, they make mistakes. But they humbly admit them. Repent. And seek God’s forgiveness. And work to improve their leadership skills. Pray for God to raise up good Shepherds to lead His people. And may we submit to and follow their lead. Having just been asked to consider being an elder, I found this very helpful. Thank you, not only for this article but for the many ones that you have done.